Option4 returns to Nervous Records with the deep, emotionally-charged track ‘To Be Your Baby’. With releases on Ninja Tune, Nurvous, Club Sweat and more besides, Option4’s music may well pack a significantly bigger punch than your average house cut, incorporating tribal rhythms, intricate melodies and fierce low-end, to produce a style that is working well for him. 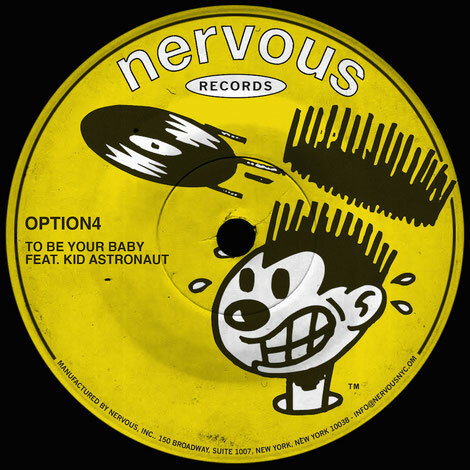 His latest release ‘To Be Your Baby’ – coming off the back of an apparent sold-out US tour andncollaboration with Treasure Fingers ‘Bar 97’ – drops on US label Nervous, with Kid Astronaut on vocals. The track is a deeply atmospheric house cut with an ethereal vocal from Kid Astronaut and an eerie synth hook that may well stay with you long after the track has finished. This is a decent record from a dedicated producer, check it out below.